The culinary culture of Castilla is one of the most renowned and praised in Spain's gastronomic map: fine red wines and excellent meats that will delight the visitor. Keep reading to discover the best Spanish restaurants in Salamanca, both in the city and the surrounding areas. Salamanca is actually quite a small town in Spain but it has a big reputation and is most certainly a Spanish town full of Spanish history and culture. The city is full of famous architecture which is mostly made out of the yellow sandstone which gives Salamanca the nickname of the 'Golden City'. One of the most famous buildings in the city is the University of Salamanca which has always been considered to be one of the centres of academia in Spain since it opened around the year of 1213. However the charm of Salamanca does not come solely from the man-made aspects of the city. Salamanca is situated in a region composed of large mountains and dusty Spanish plains which feel like they have been untouched for centuries. Despite being such a small town in comparison to some of the other famous cities in Spain, Salamanca actually has a good range of restaurants and cafés to suit every budget, and every palate. Even though it is not near the sea, the surrounding area and terrain of Salamanca has a great influence in the cuisine of the region. The flat pastures allow cattle and other animals to live happily and so you will find a large variety of meats in typical dishes from Salamanca, and in particular cured or dried meats and sausages. Game and poultry also thrive in this environment so often make appearances on the menus at restaurants in Salamanca. Check out the best Spanish restaurants in Salamanca, and click on the individual pages to get a more in-depth description of each establishment. The Café Corrillo is a Spanish restaurant and music venue in the city of Salamanca. At this restaurant, the focus is on being a chilled out place where you can meet with friends for a drink - something which it achieves very successfully. The food and the ample jazz music make this place a must when you visit Salamanca. The Castillo de Buen Amor is a truly unique Spanish restaurant as it is housed in a Medieval castle near Salamanca. The restaurant and grounds are truly stunning and allows you to take a step back in time into Medieval Spanish history. The food is traditionally Spanish but the service is what you would expect in any normal restaurant. The Mesón Cervantes is a small Spanish restaurant in Salamanca which mostly specialises in traditional Spanish tapas and light snacks. The interior of the restaurant is full of old trinkets and artefacts from the history of the building. They even have Sangria on tap. The Restaurante Palacio Prado is a Spanish restaurant in Salamanca which serves traditional Spanish food based on time-honoured recipes. To ensure that they provide the best food for their customers, the restaurant uses the best ingredients and combines the original recipes with modern twists. 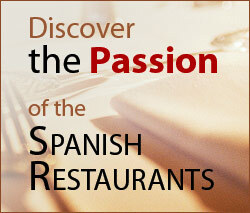 The Restaurante Plaza 23 is a Spanish restaurant which occupies a prime spot on the Plaza Mayor in the city of Salamanca. The restaurant is particularly good at taking a traditional recipe from Salamanca and combining it with cuisine from across Europe and then presenting it in a contemporary fashion.